Poor living conditions and mass eviction at Valmar Gardens in Penn Hills have highlighted one way in which absentee ownership fuels blight in the Pittsburgh region. Last September, Penn Hills officials condemned the 64-unit apartment complex on Robinson Boulevard. They had discovered an inadequate fire alarm system and other code violations. Tenants didn’t have running water, garbage collection or common area electricity. On short notice, most tenants followed the municipality’s order to leave, though some tenants filed a legal suit to allow residents to remain; the future of about 20 remaining households remains uncertain. A review of court documents by PublicSource found that the owner, Prasad Margabandhu, has a history of failed buildings, unpaid taxes and bankruptcies associated with properties he owns throughout the region. Urban design expert Alan Mallach believes Margabandhu was trying to “milk” the failed property by attempting to eke out rent revenue while spending as little as possible on repairs or taxes. “Basically, it’s all about economics. 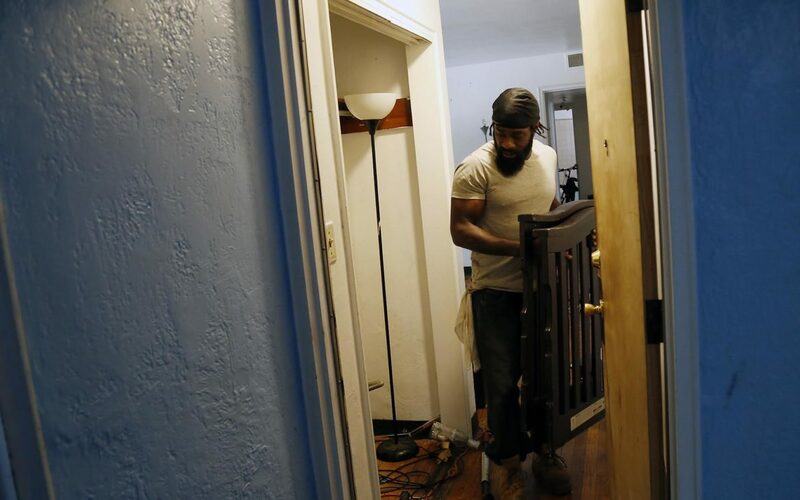 A landlord wants to get a return on his or her investment,” said Mallach, who has studied Pittsburgh extensively as a senior fellow at the Center for Community Progress in Washington, D.C. Unlike other investors committed to maintaining and improving properties, the “milker” neglects upkeep and utilizes a variety of legal and bureaucratic systems, such as bankruptcy court and complicated real estate transactions, to avoid liability while still turning a profit. According to Mallach, the impact of milkers can be difficult to track. Meanwhile, tenants must deal with potentially unsafe living conditions and potential displacement. Margabandhu denies that his management of Valmar Gardens is part of any intentional or systematic neglect. In court cases involving other properties, judges said he has run a “shell game” and “scheme” to avoid creditors while retaining properties. One judge deemed him to be in contempt of court for repeatedly failing to pay fees or appear at hearings. In the case of Valmar Gardens, Margabandhu paid $1,000 for the complex last January. 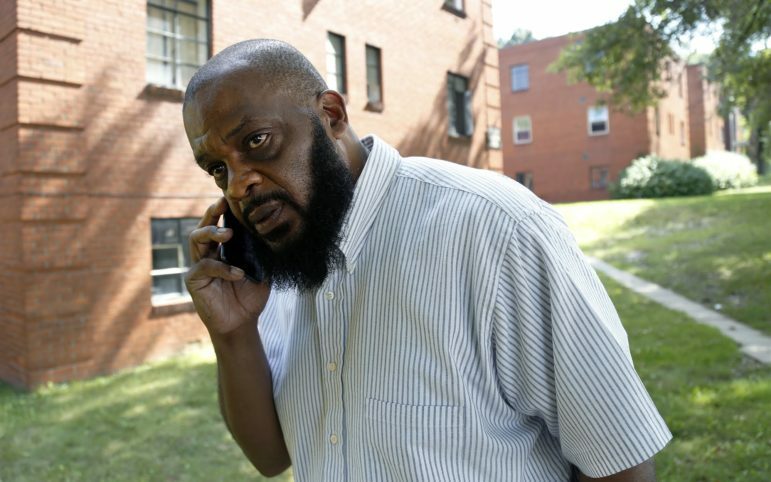 While some tenants began paying him rent, Margabandhu said the Allegheny County Housing Authority’s refusal to direct subsidized payments to him has prevented him from collecting more than a few thousand dollars worth of rent on the property. According to Mallach, “milkers” generally invest in indebted, run-down properties in distressed housing markets. Poor housing stock isn’t selling, and the neighborhood’s not attracting much investment. In such a weak market, this type of absentee owner is less interested in capitalizing on a property’s appreciation over time than in collecting as much rent as possible within a short timeframe. Often they take in tenants who can’t easily rent elsewhere. They then shed the property when it’s condemned or goes into foreclosure, and they file for bankruptcy. Properties fail not because an owner has fallen on hard times or lacks the ability to maintain houses or apartment buildings but because a quick payoff exceeds moderate, upfront costs. Mallach’s research has determined that many midwest or Rust Belt markets such as Pittsburgh, Detroit and Cleveland appeal to “milkers.” He found that this kind of investor is less prevalent in cities where demand and rents are higher. “Milkers” were particularly active during the housing crisis, according to Mallach, when so many lenders foreclosed on distressed properties. Growing poverty in a neighborhood can drive a shift away from owner-occupancy to absentee ownership. All of this can encourage irresponsible short-term investment. Even if that irresponsibility includes delinquency on property taxes, municipalities may not be able to afford the high costs of going after owners, much less maintain properties they acquire through tax foreclosure. Properties become a liability that few investors want. In a cyclical manner, blight begets blight. “Milkers” may protect their interests by purchasing properties using a limited liability corporation, concealing their personal stake in properties. They may move properties between corporations they own. When they put a corporation into bankruptcy, other properties and assets are protected. Bankruptcy can stall foreclosure on property liens. Additionally, foreclosures and other litigation can prevent action against an owner. Allegheny County real estate records list Margabandhu’s PA Real Estate Development Inc. as owner of the Valmar Gardens apartments, with a purchase date of Jan. 18, 2018. According to court filings, a company called Good Home LLC sold the property’s deed to PA Real Estate, even as Good Home remained embroiled in litigation with a third party, Bayview Loan Servicing LLC, over property ownership. Nonetheless, Margabandhu made efforts to collect rent. According to court filings, an associate of his sent tenants a flier notifying them that all rents should be directed to Margabandhu’s PA Real Estate. 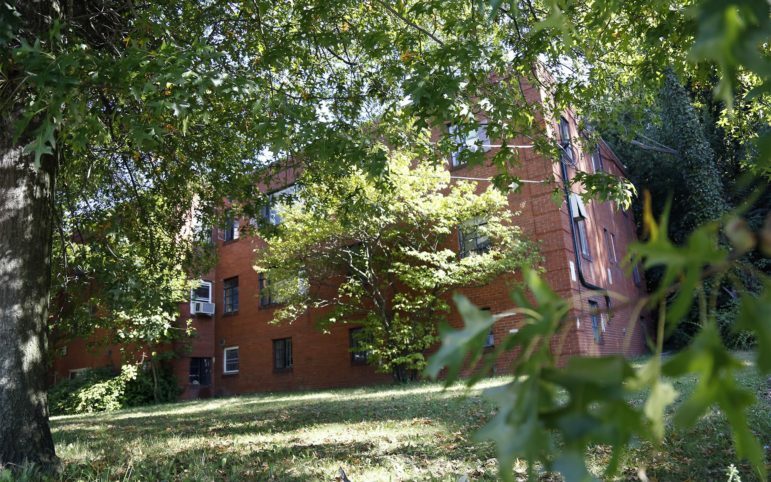 Margabandhu also called the Allegheny County Housing Authority’s Housing Choice Voucher Program office multiple times last year seeking rental payments for Section 8 vouchers and sent a representative to the program office seeking payment, according to associate director Bobby Gabbianelli. As property ownership remained unclear, the housing authority decided last March to stop making rent payments for the 34 households receiving Section 8 vouchers out of the complex’s 64 units. The authority began providing them with moving vouchers instead. According to Gabbianelli, the housing authority has not made payments to Margabandhu for vouchers associated with Valmar Gardens. "We’ve never sent him a penny,” Gabbianelli said. Margabandhu’s statement contradicts tenants’ claims and court filings that say tenants have in fact been paying rent. Margabandhu acknowledged that the property had several code violations when he took ownership of the property. He said he spent $10,000 updating the building’s fire alarm system in early 2018. Margabandhu confirmed that he spent time overseeing repairs at the property after purchasing it. Penn Hills code enforcement officer Corey Kircher was aware of the ongoing ownership dispute, but he cited Margabandhu’s name on the property's deed and his company's name on Allegheny County real estate listings as evidence that Margabandhu is the property owner responsible for managing Valmar Gardens. Kircher said he met with Margabandhu on three occasions in 2018 and informed him of the need to apply for occupancy permits for each of the 64 units, a step required whenever a building changes owners. “None of that was ever done,” Kircher said. Permit applications would have triggered a building inspection. “Rehabbers” will purchase properties in poor condition then rehabilitate them to turn a quick profit. With a similarly short time horizon, “flippers” buy and quickly resell properties “as-is,” working the market to buy low and sell higher. In both cases, speculators work within a market just strong enough to turn profits. A fourth category, “holders,” maintain and rent out their properties over several years, capitalizing on both rental income and appreciation. Investors are able to buy much more properties than community development corporations or municipalities. Still, it’s difficult measuring what portion of failed properties are owned by “milkers,” much as it’s difficult to track these investors in the first place. Mallach feels strongly that rental registration or licensing could help track and prevent “milking,” as this could require more regular building inspections. In 2015, the City of Pittsburgh passed an ordinance requiring landlords to register their properties, but landlords sued and the ordinance is held up in court. Land banks have also proven useful in some cities, Mallach said. They enable communities to gain control of foreclosed properties.The Genesee County Land Bank in Michigan, for example, was able to demolish 812 blighted properties in Flint and Genesee County in 2018, structures that might have otherwise been stuck in long and contentious foreclosure processes. Tim Dolan co-chairs the Vacant Property Working Group, a program of the Pittsburgh Community Reinvestment Group. He’s found that while intentional neglect can be the cause of dilapidation at some properties, blight in a neighborhood can have a variety of causes. “[N]ot everything that looks abandoned is abandoned,” he said, noting that some property owners may just not have the capacity to maintain their homes. Monitoring of blight can require door-to-door surveys and neighborhood meetings. 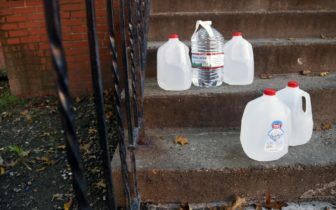 Neighbors can also file 311 complaints, which can lead to citations and land a property owner in court. To secure delinquent and abandoned properties, community development corporations can access the city’s property reserve, a limited collection of properties identified as particularly strategic for neighborhood revitalization plans. The Housing Alliance of Pennsylvania has even created a blight “toolkit,” outlining the many ways communities can reclaim blighted and abandoned properties. PublicSource intern Ross Holub contributed reporting to this story.